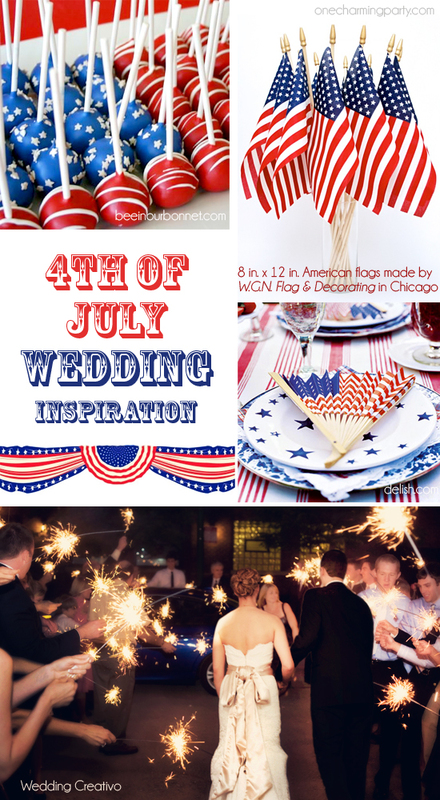 We are enjoying the holiday this week and taking a break from blogging, but in celebration of the holiday, we put together this wedding inspiration board for July 4th. Also, as we focus on Chicago-made good on this blog, we would like to take the opportunity to feature W.G.N Flag & Decorating. They have been making flags and decorations of all sorts in Chicago since 1916! We think their 8x12 inch flags shown below would make a great table centerpieces for any patriotic holiday party or wedding.